They make up almost half of the entire workforce at Hull University Teaching Hospitals NHS Trust, providing round the clock care, compassion and a listening ear to people, often at the most vulnerable times of their lives. International Nurses Day, Friday 12th May, coincides with the birthday of one of the world’s most famous nurses, Florence Nightingale, and serves as the perfect opportunity to celebrate the huge contribution which nurses make to our lives, from beginning to end. Hull University Teaching Hospitals NHS Trust employs over 2500 qualified nurses and a further 1000 nursing auxiliaries, who assist with patients’ basic care needs such as washing, dressing, and feeding. 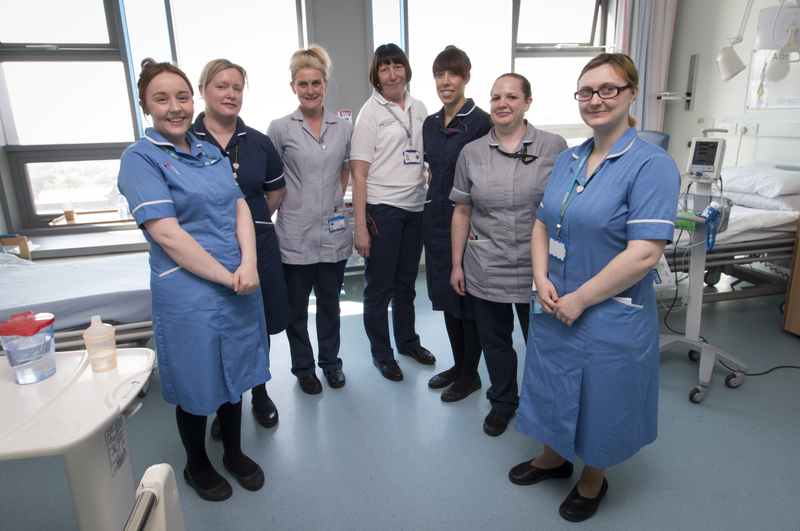 Nurses are based at both Castle Hill Hospital and Hull Royal Infirmary, as well as in community teams working across Hull and East Yorkshire, and specialise in areas ranging from organ donation to diabetes, epilepsy and end of life care. “Nursing has changed a lot over the years, but the basic principles of care don’t change. A nurse always needs to be compassionate, needs to be calm under pressure, but also needs to be able to listen to their patients and act in their best interests, as many of the people we care for are frail, frightened or vulnerable. “Nurses share in some of people’s most intimate moments, which can be upsetting, uplifting, or anywhere in between. In those situations, patients or relatives look to you for support and guidance, and it’s rewarding just to know you’ve been able to give someone comfort or hope at a difficult time. Locally, Hull University Teaching Hospitals NHS Trust is using its own nursing staff to spearhead an award-winning recruitment campaign called ‘Remarkable People, Extraordinary Place.’ The campaign led to jobs for more than 74 nurses in 2016, and a further 132 job offers have been made this year to nursing students wo are due to graduate from the University of Hull this summer. In the last two weeks, the Trust has also become one of 24 second wave pilot sites for the new Nursing Associate role, a role which will bridge the gap between nursing auxiliaries and registered nurses and deliver hands-on care to patients. Twenty Nursing Associates have taken up posts in departments such as paediatrics, emergency care and neuro rehabilitation, and are now studying towards a Foundation Degree in Health and Social Care at the University of Hull. “I am extremely proud of all of our nurses, midwives, nursing associates and assistants for the fantastic jobs they do every day for our patients and the Trust. “I have been privileged to be a nurse for over 35 years and, whilst it can be really hard work at times, it is also an extremely rewarding career. I believe that nurses and midwives are the life blood of the NHS. The great thing about nursing and midwifery is that there are so many different opportunities and areas in which to specialise, there really is something for everyone. “As the Trust’s Chief Nurse, I meet some truly amazing nurses, midwives and care assistant staff on a regular basis who have devoted their lives to the care of others, and it’s an absolute pleasure to be part of that team. I see this not just on Nurses Day, but every time I visit our wards, clinics, and community facilities, and it makes me incredibly proud of them and of my profession.